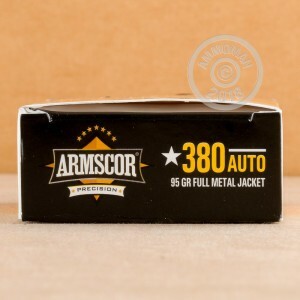 For some economical range practice, load up your LCP, PP, P238, or other .380 ACP pistol with these FMJ rounds from Armscor. 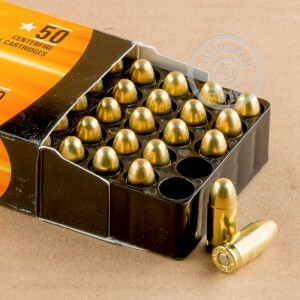 Each cartridge in this box of 50 fires a 95 grain (slightly heavier than average) full metal jacket bullet. These rounds use non-corrosive boxer primers and brass cases and will work well in any .380 Auto pistol. Don't like paying through the nose for shipping? Buy from AmmoMan.com, where all orders over $99 ship for free--no shipping calculators or checkout surprises to worry about. As always with ammoman it arrived very fast. These rounds cycle through my Glock 42 great no issues and as that's my pickiest pistol the others won't have a issue either.